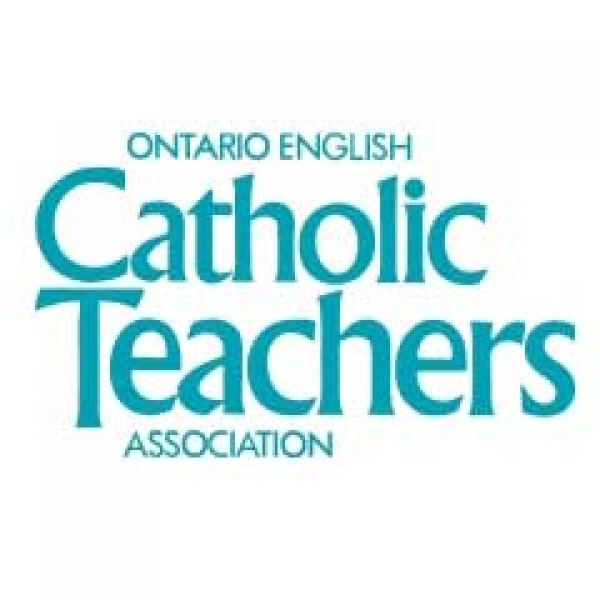 TORONTO - If Catholic teachers want time out of the classroom to campaign for Liberal or NDP candidates during this fall’s provincial elections, their union will pay for substitute teachers, said Ontario English Catholic Teachers Association president James Ryan. “It’s up to the local units. They raised that as a possibility. They can do that if they decide,” said OECTA President James Ryan. But the political snub is actually the other way around, Ryan explained. According to Ryan, Conservative leader Tim Hudak has refused requests for a meeting. St. Jerome’s University is dreaming big. By 2015 the Catholic college at the University of Waterloo hopes to be well into a building and expansion program that will begin with a new residence and include an updated library and classrooms, a new student centre and a new graduate program. St. Jerome’s “Strategic Vision: 2015 and Beyond” lays out the broad strokes, but by fall a campaign team expects to present to the board of governors fundraising goals and priorities, St. Jerome’s president and vice chancellor Fr. 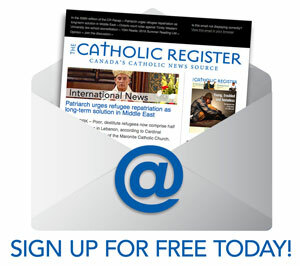 David Perrin told The Catholic Register. “What the vision (statement) strives to do is articulate who we are and who we are proud to be, and where we want to go,” Perrin said. The vision should start to become a reality in time for the college’s 150th anniversary in 2015, said Perrin. Priests, he said, were to be available to everyone all the time. The Breen brothers took the cardinal’s words to heart. 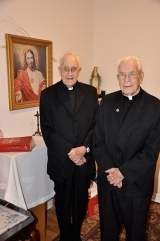 At 94 and 84 respectively, Msgr. Gerard and Fr. Basil have been “open to the people” for a combined 130 years. This year, the brothers are celebrating the 70th and 60th anniversaries of their ordination to the priesthood. TORONTO - Traumatized, guilt-wracked victims of human trafficking don’t often disclose what’s happened to them. Despite the reluctance to talk, Toronto’s Covenant House deals with a constant stream of both international and domestic victims, said social work manager Helen Winters. Lately, many of the international victims turning up at its doors have come from Africa. There have always been aboriginal girls off reserves and runaways from small towns. In some ways it’s an old story. Men who hang around shopping malls, hostels and bus stations offering a little kindness and attention to vulnerable, lost young women. “Often the pimps will act like a boyfriend. They’re special. They (the pimps) will wine and dine them. Then they use and abuse them,” said Winters. TORONTO - Though she escaped more than a year ago, it’s still difficult for Irais Martinez to hold back tears when she recalls how she was trafficked into a sweatshop in Brampton, Ont. It’s hard for the 27-year-old psychology graduate from Mexico to think of herself as a victim. 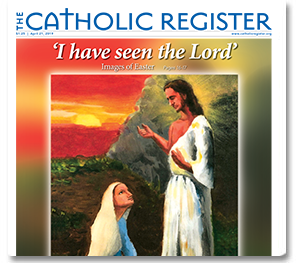 “I feel like I hurt myself without my permission,” she told The Catholic Register. She hasn’t explained to her parents what happened to her since she came to Canada. TORONTO - Toronto Catholic District School Board veteran Léa Lacerenza has won this year’s Premier’s Award for Excellence in Teaching, Lifetime Achievement for her innovative work in special education. Lacerenza has worked in special education with the TCDSB for 31 years, the past 23 years seconded to the Learning Disabilities Research Program at Sick Kids Hospital as the senior research teacher and lead writer in curriculum development and programs. Lacerenza leads the collaboration between Sick Kids and the board in developing innovative techniques designed to help students with severe learning disabilities through the Empower Program. The Empower Reading Programs are now taught in hundreds of schools across North America. Lacerenza says her experience with her youngest sister, Diana, who had a mild learning disability, first motivated her to work with students with learning disabilities. 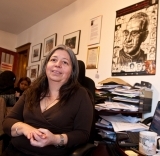 Diana “was immensely talented, smart and creative,” Lacerenza recalled. But in the 1970s, Diana was streamed into a vocational program because of her learning disability. This helped Lacerenza discover her professional vocation. TORONTO - Despite concerns voiced by several Catholic parents and ratepayers, the Toronto Catholic District School Board passed its equity and inclusive education policy at a May 19 board meeting. But trustees will vote later on a number of proposed amendments to the policy made by some trustees after these are reviewed by the board's legal counsel. The vote came after months of debate on how a Catholic school board should deal with the equity policy that the provincial government mandated each board come up with. The aim of the 2008 provincial legislation is to combat discrimination in schools based upon sexual orientation, race and religion. The key issue of concern for many was that Catholic denominational rights should be protected in the policy. 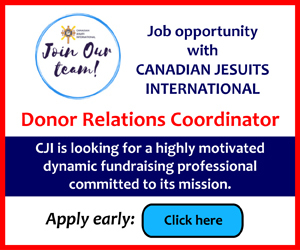 Many stakeholders in the Toronto Catholic system fear the policy will be hijacked by groups seeking to override teachings of the Catholic Church. 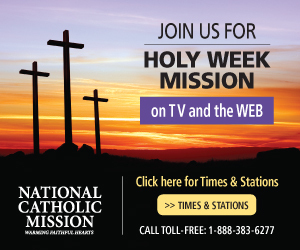 The new policy, which passed by a 7-4 margin, states that "any form of social or cultural discrimination is incompatible with Catholic moral principles." It goes on to say "The board further recognizes that we must uphold the protections entrenched in the Ontario Human Rights Code, the Constitution Act 1867 and confirmed in the Constitution Act of 1982 — the Canadian Charter of Rights and Freedoms." The diocese of Peterborough and Trent University have signed a memorandum of understanding to help further discussions and set guidelines in establishing the future Sacred Heart College, a Catholic liberal arts college in Peterborough. "It's important that now after a couple of years of discussion with Trent that we've entered into an understanding whereby both the future Sacred Heart College and Trent University are going to co-operate on establishing a relationship that will allow us to grant credit for courses," said Fr. 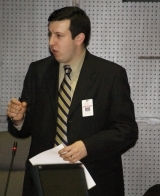 Joseph Devereaux, chancellor of the Peterborough diocese, of the future university college which will be located in the basement of Sacred Heart parish. The memorandum says that the college and Trent agree to "work together to explore the potential for delivery of distinctive and complementary educational opportunities," such as transfer credit recognition and degree completion pathways. For Davis, this Mother’s Day will be one of celebrating the gift of motherhood, thanks in part to the Sisters of Life. Davis is one of the many success stories of the Sisters of Life’s ministry for pregnant women in crisis in Toronto. Doctors had counselled Davis to end her pregnancy early because they feared the baby would be a burden to the 25-year-old, and that he wouldn’t survive long. His troubles began 16 weeks into Davis’ pregnancy when doctors found fluid in more than one part of his body. His stomach was larger than his whole body, his head and arms had water under the skin above the bone and his skull bone had water under the skin wall. Doctors predicted he wouldn’t have long to live after delivery and if he did survive, they said he would have severe health problems. But with the “motherly love” and support of the Sisters of Life, Davis said she was able to stick to her convictions and go through with the pregnancy, despite the pressures from those around her who said she was “selfish” for wanting to “burden” the world with a sick child. TORONTO - It was a big day for Toronto's Poles, starting at 4.00a.m. when they gathered round their televisions to watch Pope Benedict XVI declare his predecessor blessed - one step removed from sainthood. 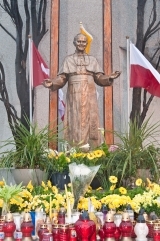 These photographs follow the Polish celebration in Mississauga and on Roncesvalles Avenue in downtown Toronto - two places where Poles live, work, shop and pray. They witness the joy and pride Poles derive from the memory os Pope John Paul II. View the images in the slideshow that is embedded below or click here to load a larger version in a new window. You can use the small icon, to view the slideshow in full-screen mode. This slideshow has annotations for each image which you can turn on with the "captions" button in the bottom right corner of the player. TORONTO - Opinions varied, mostly along age lines, as the Toronto Catholic District School Board held the second consultation meeting on its proposed equity policy. About 150 parents, students and teachers gathered April 27 at Our Lady of Lourdes Elementary School to discuss the policy. Two distinct sides became clear after 14 small groups broke off to discuss the policy which aims to combat discrimination based upon sexual orientation, race and religion in Toronto's Catholic schools. While parents and teachers were more concerned with ensuring the Catholic identity of schools, students among the group emphasized the need to prevent homophobic bullying by establishing gay-straight alliances (GSAs). The TCDSB will make a report on the input from the two consultations as well as an online survey, said TCDSB spokesperson Emmy Szekeres-Milne. The report could come as early as May 19, she said. 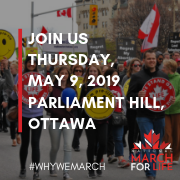 During the three-hour meeting, participants broke off into smaller groups to discuss the policy, which the provincial government has mandated be in place by September. After 20 minutes, a representative from each group reported back to the larger group.